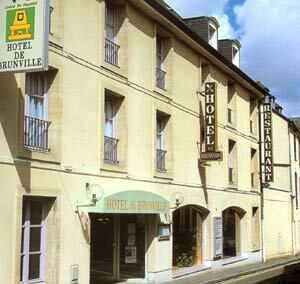 In the heart of the traditional Norman town, the hotel de Brunville offers you the best reasons for staying in Bayeux. 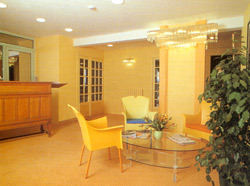 Our three-star hotel offers you 34 rooms with satellite television, close car parking and meeting rooms, which accommodate up to 30 guests. 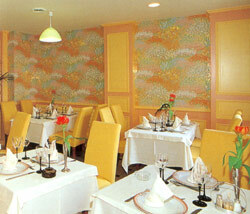 The Le 7eme Art Restaurant invites you to taste the traditional Norman food. 01 Nov. to 13 Apr. 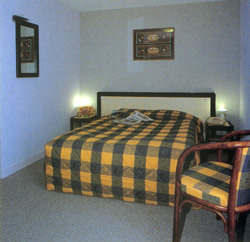 Price for apartment for 4 to 5 people available upon request. 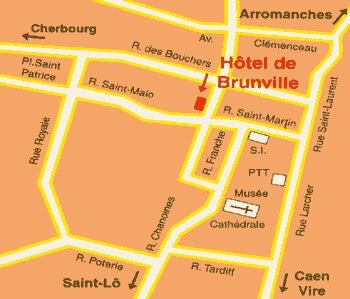 The hotel has a parking: 9€ (to be paid at the hotel directly).